Of course, we all know that’s not how I roll and I’d like to expand on those three words just a little. 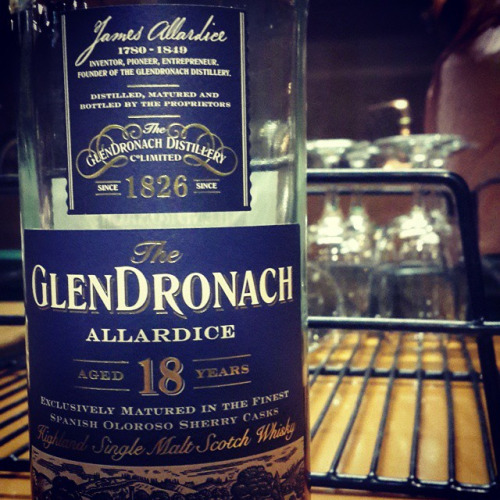 Goes: Of all 18 Year Old whiskies in the world, the Glenfid is probably the most accessible. I picked it up for 98 bucks here in Aus when it was on special – a pretty remarkable price for something that has been in ex-bourbon barrels (and a few ex-oloroso casks) long enough to be of drinking age. Down: the 18 Year Old’s main drawcard is its drinkability. It is one smooth drop. For seasoned whisky fans this might even be a disadvantage – some might consider it a bit boring. Not me. My biggest challenge is looking down at my glass to find I’ve already polished it off. Nicely: Yep – it tastes good. On the nose are apples, grapefruit and pears alongside a smidge of oak. The palate is soft with notes of honey, cinnamon and vanilla, while the finish is medium in length leaving lingering flavours of apple-based baked goods. 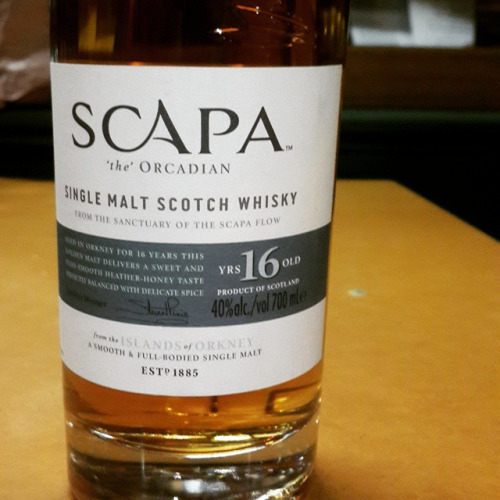 If you find it cheaply, this is worth getting – especially if you are looking for a whisky that, well, goes down nicely! World Whisky Awards? Not bad. San Fran World Spirits Comp? Alright. Jim Murray Liquid Gold? Ok, so long as it’s a rye. But we all know the big one is still to come – the award that whisky makers around the world crave above all others (even if they’ve never heard of us). That’s right folks. It’s time for the 2016 Waffle Awards! This year the waffle boys have donned formal Scottish attire to award drams which they have purchased for the first time in 2016. So, ladies and gentlemen, help yourself to the complimentary champagne (we’ll email you some) and enjoy the 2016 Waffle Awards! We were lucky enough to visit Belgrove’s creator Peter Bignell earlier this year and were able to try some truly phenomenal drams while we were there. But this was the one that really seemed to represent Belgrove’s true flavour. The Pinot Noir barrels imparted a fruity flavour on the rye – drinking this is akin to strawberry jam on thick brown bread. Fantastic. Usually Islay is all about the peat monsters, but a couple of distilleries buck the trend. Bunnahabhain explores the softer, earthier side of the island, which the phenomenal 18yo serves up in spades. Expect roasted nuts, ripe fruits, a good raisiny punch from the sherry casking and a mouth-pleasing hit of salt and soft peat to finish. Younger Scottish whiskies can be a bit hit and miss, but if a good hit of peat is thrown into the mix, it conjures some sort of dark, alchemical magic that can summon up a truly excellent dram. Hence our belief the that the Ardbeg 10yo is devilishly good… and great value at that. 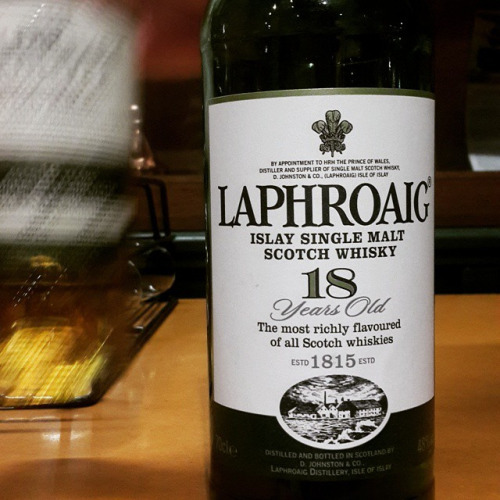 Sweetly peaty and wickedly smoky, the 10yo will please any lover of the Ileach drops. If you find it on sale, don’t even think, just whip out that wallet and buy, buy, buy. Grain whiskies tend to get a bit of a low rap to be honest. If people ever give them any thought, it’s just as the backdrop for single malts in blends. To be fair, young grains can be pretty rough too, but if you happen to let them sit around in barrels for long enough, special things can happen. Bottled as an exclusive for Glaswegian bar ‘The Pot Still’, the Invergordon 26yo Single Grain whisky is a really interesting drop. Far from its spikey, awkward siblings, the 26yo is pleasantly zesty and vibrant, with citrus and pineapple bursting in the mouth. You aren’t likely to find this bottling any time soon, but its definitely worth tracking down some decent grain whisky if you want to try something different. The mad scientist of Tasmanian whisky, Wafflers everywhere have a lot to thank this man for. He has brought us some of the most powerful whiskies in the world with his Heartwood creations. 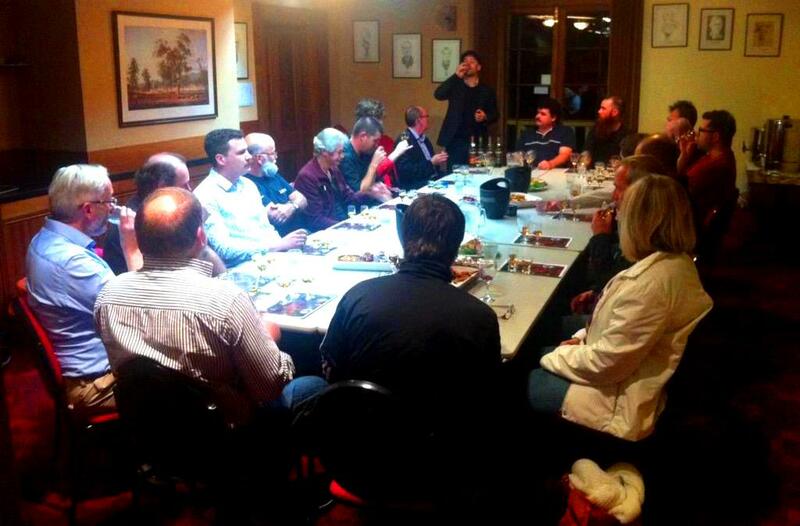 He has helped bring in a whole new crowd of whisky fanatics by co-founding the Tasmanian Whisky Appreciation Society. He has supported a range of Tasmanian distilleries by promoting them or buying their barrels. But, most crucially, he has created a legacy of experimentation and tinkering. Tim is not concerned with age statements or single cask releases. His aim is to make something that tastes bloody good, and if that means spanking his whisky with a wooden oar, then so be it. There’s no doubt that this is a special dram. It is one of the most complex and interesting drops we’ve tried this year. But it also toasted the creation of Nick’s house from start to finish and played its part in creating many fond memories. Only the best drams of all do this. An honourable mention goes to the dram that we couldn’t include because only Ted has had the pleasure of tasting it: the incomparable William Cadenhead Single Speyside Malt Scotch Whisky Aged 40 Years. In fairness, we include a dishonourable mention as well, which this year is being renamed the Founders Reserve Award. And although it should probably go to the Founders Reserve again, this year it goes to the biggest misfire from a normally reliable distillery: Glen Moray Port Cask Finish. So what do you think of our awards? Some good drams? What would you include as your winners? Let us know in the comments and have a very happy new year. I would like to start out by saying that I am a big fan of Bunnahabhain (so this review is not going to be biased in the slightest). Yes, we all know that Islay is famous for its heavily peated drams, but I have a definite soft spot for this gentle islander. I’ve actually been to the distillery, a few miles up the coast from Port Askaig, but to my eternal discontent I haven’t actually done the tour as we were pressed for time and had several other tours booked that day. The buildings may look rather grey and foreboding, but the people are so friendly and warm. Please pop by and say hello to them if you get a chance. I really got a taste for Bunna on the ferry on the way over to Islay because it was the dram of the month and they were pouring doubles. Standing on deck in the blasting wind and watching the islands of Islay and Jura hove into view with a warming glass of Bunnahabhain in hand definitely leaves a lasting impression on a lad. While I may have cut my teeth on the Bunna 12 Year Old, I recently acquired a bottle of the 18 Year Old and tell you what, it’s pretty exceptional. Bunnahabhain dials back the peat hit in favour of softer, earthier flavours. The nose is rather like tramping around the rolling interior of the island, bringing forth moss, springy peat-laden soil, wind-twisted woods and the occasional gust of salty sea breeze (plus the colour is like the dark waters of the lochs that stud the landscape). Other flavours floating through the air include roasted chestnuts, dark chocolate, spit roasted lamb with salt and rosemary, stewed quinces and brandy-soaked raisins (sherry casking par excellence). The mouth is quite salty, but strikes an elegant balance, like a high quality piece of salted caramel served with delicate slices of pear poached in butter and sprinkled with brown sugar. The finish is rounded, warm and comforting, like curling up on a squishy couch in front of a glowing fire on a cold night. While I rather enjoy getting smacked in the face with a massive slab of Ileach peat, there’s something about the softer side of Islay that keeps drawing me back again and again. One day I will return to Bunnahabhain and explore it properly, but until then I will sit back with a glass of the 18 Year Old, close my eyes and be transported back to one of the most magical places in the world. As whisky fans, we regularly battle to be objective in our tastings to ensure our feelings don’t influence our perceptions of a whisky’s quality. And yet other times we simply say “screw it” and go with our hearts. 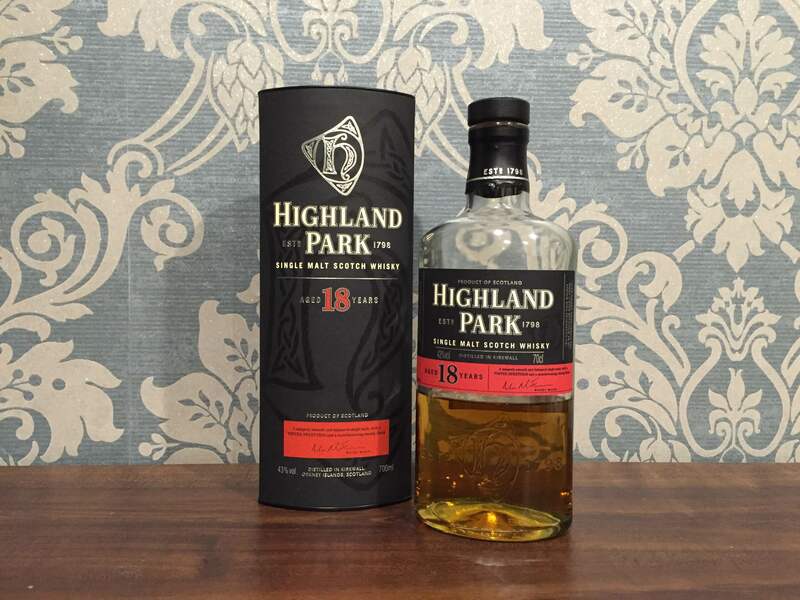 The Highland Park 18 Year Old has a long list of awards to its name, but for me, it’s a little more special than that. The distinctive (duck-egg) blue wallpaper gracing the background of our review photos is part of my recently built library (AKA whisky room) in my recently built house. And throughout the exciting building process the Highland Park 18 was there all the way. It was the first bottle cracked under my roof – before the walls were even finished! It was brought out again and shared with m’colleague on the night I moved in. Then at the house warming, surrounded by my best friends, it came out once more and toasted my new abode. So with all these great feelings associated with the bottle how could I possibly write an objective review? Put simply, I can’t. But you know what? Screw it. The nose is delightfully coastal and sherried. It is particularly dry, and bursts with raisins, prunes and smoked salmon. A dash of smoke hits you on the palate before quickly subsiding and giving way to grapes, cherries, peppermint and salami. The finish is long and contains an oakiness which calls to mind old wooden furniture. If I was served this whisky blindly at a tasting then who knows if I would have the same sentiments towards it? What’s important for me is that now I’ve made these associations, I will continue to enjoy this whisky whole heartedly. And maybe you’ll love it too – especially if the happy memories you attach are your own. The banks of the river Spey in Scotland’s north east are fertile ground indeed. Nearly half of the country’s distilleries are located in this region which has come to be known, rather appropriately, as ‘Speyside’. Upon my criminally short drive through the area my head continuously moved side to side reading road signs pointing towards yet another famous distillery. It must have looked like I was watching a grand-slam final between Nadal and Djokovic! This abundance of whisky excellence could be found nowhere else on earth. Speyside whiskies are known for being the smoothest, the richest, and the most elegant drams that Scotland has to offer, a reputation well deserved. 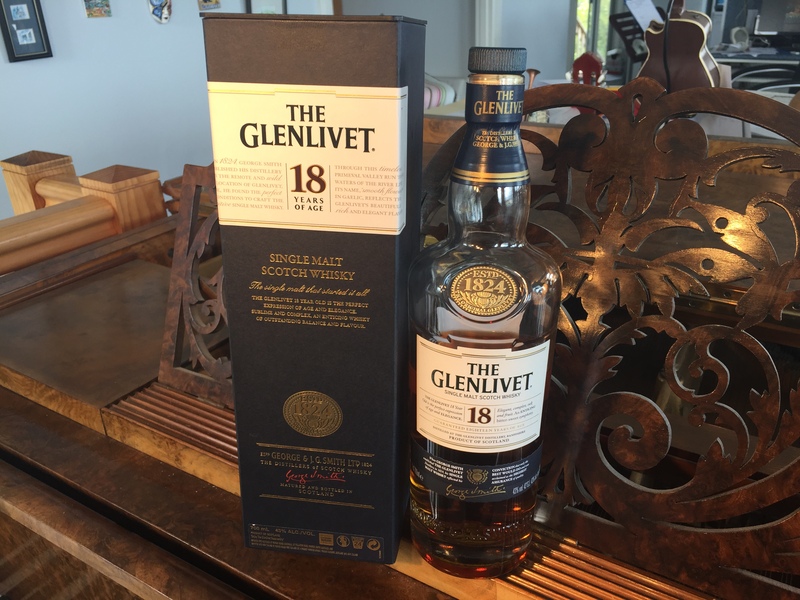 Perhaps the best example of a Speyside malt is the Glenlivet 18 Year Old. It is one of the classiest single malts going around – and at a price that practically every other 18 year old whisky cannot come close to. The whisky’s colour alone is enticing: a golden amber which glints in the sunlight. The nose is better: full of caramel, vanilla and orchard fruits. It is a pleasantly balanced aroma, not favouring one flavour over another. The palate is rich – full of flavour without being heavy. There is honey, oranges and malty biscuits, along with the faintest hint of sherry. The finish is light and not as sweet as the initial flavours suggest, with plenty of oak imparted from its 18 years in barrels. There are literally thousands of whiskies made within a few miles of the river Spey. But if you were only able to try just one – then you could make a pretty strong case for this one. I could be forgiven for thinking I’d come along to the ‘Burnie’s Best Beards’ convention, as upon arrival I was met with some of the most impressive facial hair this side of Ulverstone. This could only be a whisky tasting! But it was no ordinary tasting. We were sampling drams created by the third largest producer of whisky in the world: William Grant & Sons; guided through the evening by Rich Blanchard whose job title literally was ‘Whisky Specialist’. Unfortunately this qualification does not teach him which way round the 1 and the 2 go on the tasting notes, and we discovered that we would be beginning with a 12 year old whisky, not a 21 year old! The tasting consisted of many drops I had sampled before, although never in quite so meticulous an order. Being a Grant’s night we began with the self-proclaimed saviour of single malts: the Glenfiddich. We tasted a range of ages: the famous 12 Year Old (where the pear cliché was immediately rolled out), the 14 Year Old Rich Oak (which, true to its name was distinctly oaky: akin to tasting old furniture), the 15 Year Old Solera Vat (still a favourite) and the 18 Year Old (undoubtedly the smoothest). We then paused to refill our glasses, and Rich delivered his two minute spiel about how whisky is made – in five minutes. He also told us a little of the history of William Grant, detailing his purchase of stills from Cardhu for his own distillery, which was family built – literally. School holiday projects for the Grant family were a little more serious than building a cubby-house. Rich then mentioned the mastery of recently retired Grant’s head distiller David Stewart, highly regarded still-man, double-maturation pioneer and generous whisky pourer. I made a metal note to try and meet this man one day. This brought us nicely to Grant’s other crown jewel: The Balvenie. Again beginning with the 12 Year Old (not the 21) before moving onto the 14 Year Old Caribbean Cask (with no reveal as to the source of the barrels – though we ruled out Cuba!). The final two drops were undoubtedly the highlights. The 17 Year Old DoubleWood I regard highly, so much so to award it the prestigious ‘Tartan Slipper’ in the 2014 Waffle Awards. Finally was the 15 Year Old Single Barrel: sherry cask. I’d had the bourbon equivalent of this drop before but it had not prepared me for what I found in this one. Could it be… peat? Rich revealed that, yes, the Balvenie did peat their barley, albeit slightly. It was an intriguing drop and a perfect way to finish the night. As I left to commence my walk up the hill (always easier after eight drams) I could not help but feel a little bit pleased. A proper whisky tasting in my little home town! A massive thanks must go out to Steve Kons for organising the night and to the people at William Grant & Sons for making the journey to the North West. Whisky and Chocolate: why has it taken me so long? 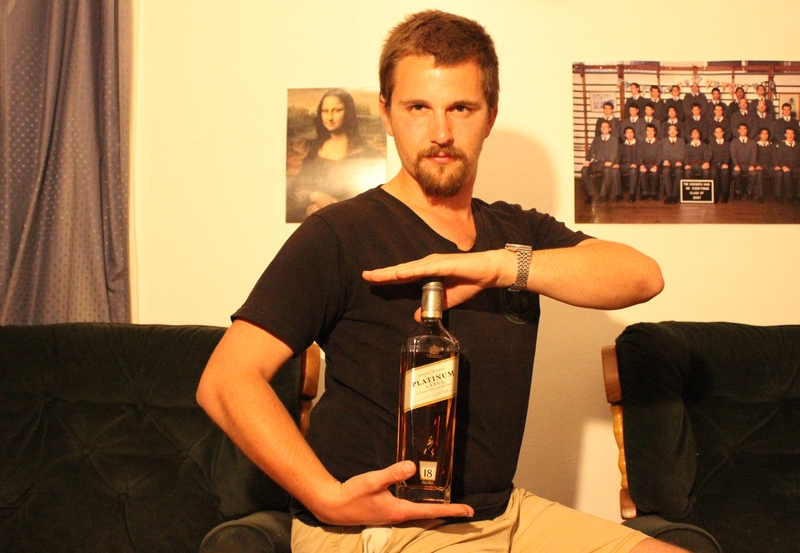 Whisky. Chocolate. Two undoubtedly magnificent creations. Why, then, has it taken me so long to realise that combining the two is the best idea hit upon since a particular Bill Lark fishing trip? Enter Ian Reed, organiser of tenuous themes for Whisky Business, who decided the night’s proximity to Easter was as good an excuse as any to bring along chocolate bunnies to the next gathering. While the selection of whiskies was sure to be excitingly varied, the selection of chocolate turned out to be less so, although this was through no fault of mine or Craig’s, who both brought some excellent blocks (disclaimer: mine was slightly more excellent). Ian gathered everyone together. It was time to begin. Bitter + bitter = not bitter! Strangely enough, together the two bitter flavours cancelled each other out and left smooth and sweet strawberry and melon notes I hadn’t noticed before. A win for the paring! Whisky number two was immediately picked by Craig as a rum barrel finish, which was either a lucky guess or proof that he knows his stuff. 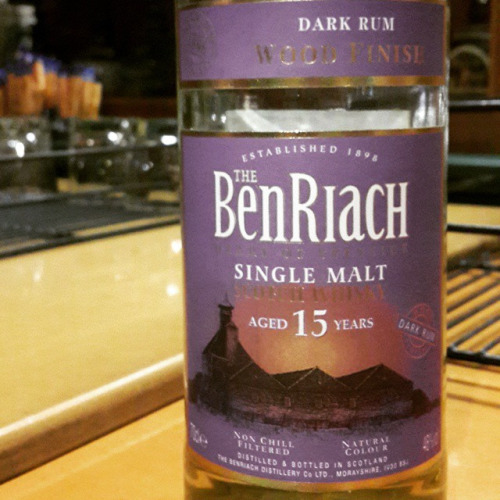 The whisky was a 15 Year Old BenRiach, which had indeed been finished in rum barrels. I selected a Lindt Salted Caramel to accompany it. Rum barrel + salted caramel = tropical punch! Apparently the secret to unlocking the fruit flavours in the rum finish was a block of salted caramel chocolate! Two out of two for the chocolate paring! Whisky number three had been matured in sherry casks, this much I could tell. I quickly ruled out Glenfarclas and took a stab at another famously sherried whisky: Glendronach. Imagine my pleasure (read: smugness) when it turned out to be the Glendronach 18 Year Old (Big Sam) Allardice. One sip gave away the Olorosso maturation. It was dry. As in really dry. And I loved it. I went for the strong stuff. 90% dark chocolate. No messing around here. Dry whisky + dry chocolate = the Sahara desert. I suspected that one ingredient may make the other sweeter in comparison. I was wrong. This combination could not even be crossed upon a camel. And I loved it. Three out of three. After a short break filled with science jokes from Bish, and vaguely Easter-themed jokes from Rosie, we moved onto whisky number four: the clue from Ian being that its name was Gaelic for ‘natural’. 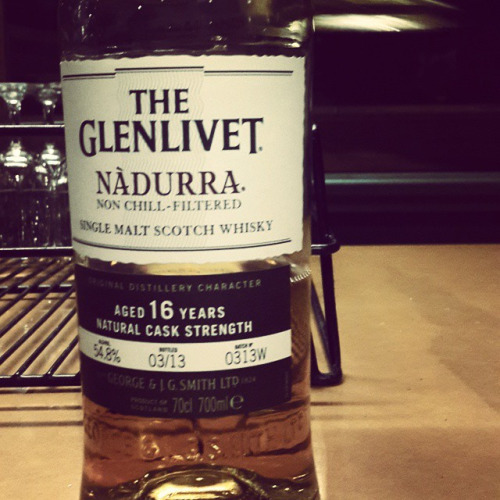 Because I speak fluent Gaelic (or because I’ve read it on the internet) I immediately realised we were trying the cask strength Glenlivet: the Nadurra. I needed a feisty chocolate to compete with this, so selected my own contribution: a fancy and fully-flavoured Anvers salted caramel chocolate. Strong whisky + strong chocolate = Pirates of the Caribbean! Ok, yes, by this stage of the night my pairing notes were starting to get, shall we say, ‘creative’, but hear me out. I mean this in a way that these two flavours did not go together. At all. In fact they clashed. In fact, they clashed entertainingly, one might even say ‘swashbucklingly’ (if one could pronounce such a word at this end of the evening). Hence: Pirates of the Caribbean. Whisky + Chocolate = awesome. I don’t think I really need to explain this one. Let us picture a woman: she wears chic white designer clothes, and her platinum blonde hair is perfectly styled. She is beautiful, with flawless ivory skin and delicate features, and yet her pale grey eyes are cold and her face is blank of emotion. She is like an icy white marble statue come to life. Her house is filled with expensive minimalist designer furnishings, all in white, and the effect is striking and elegant. Yet somehow it leaves you feeling empty; it’s too clean, too clinical, lacking in any warmth that allows you to develop an emotional connection. If you distilled the idea of the white lady and her house, and bottled it, then you would capture the essence of the Johnnie Walker Platinum Label. 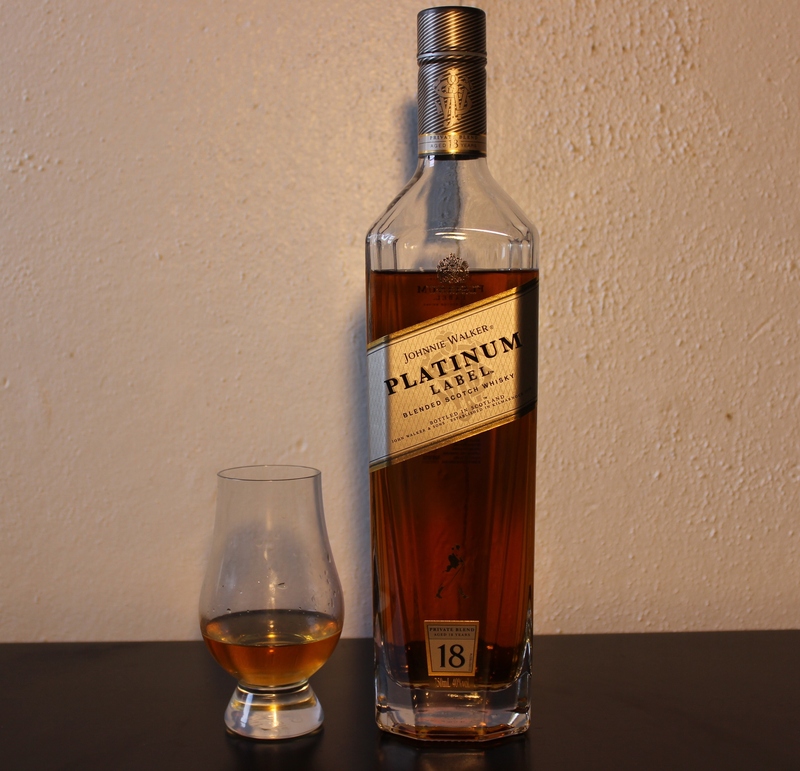 The Platinum is marketed as one of the top tier bottlings in the standard Johnnie Walker range. It is delicately assembled from a selection of minimum 18 year old single malt and grain whiskies, and was inspired by the private blends created as gifts for the upper echelons of the Johnnie Walker hierarchy. On the nose the Platinum is very light and delicate, with hints of dusty oak floorboards, cereals such as bran, oats and barley, chocolate, and coffee. There is no sweetness or fruitiness here, and as such the scent is rather dry and wooden as a result. The mouth is extremely smooth, with subtle flavours of polished oak and walnuts. A flicker of sweetness is allowed, perfectly balanced by a dash of bitterness. The end is dry and provides a grind of black pepper followed later by a sprinkling of ash. There is a sense that the Johnnie Walker Platinum Label is a stylish drink created for those with sophisticated tastes, and yet in trying to achieve this they somehow miss the point. Yes, the flavours all work together superbly, but as a whole it’s too refined, polished to the point where there is no spark left to bring it to life. The white lady is beautiful to behold, but be warned, her heart is cold and she will not give you the love and warmth you crave.